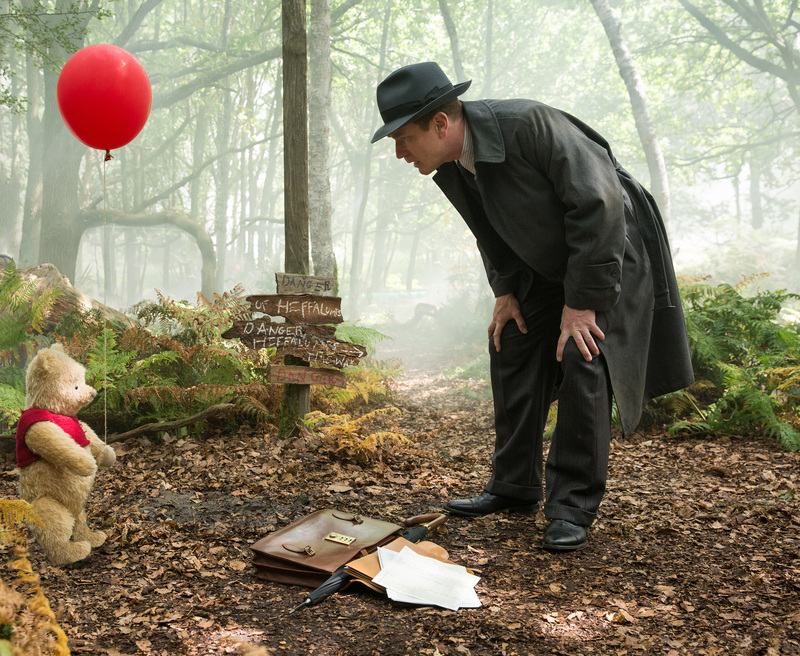 Christopher Robin is a delightful film made to bring the whimsy of childhood back to adult life. And it does so successfully. In large part, the story is fairly predictable. Christopher Robin, having forgotten his childhood friends, is reminded of the importance of those you love and discovers the solutions to his problems have been right in front of him the whole time. But it’s the way the story unfolds that makes it such a magical journey. If you haven’t seen it yet, you’re in luck because it’s now out on Blu-Ray / DVD and home release. 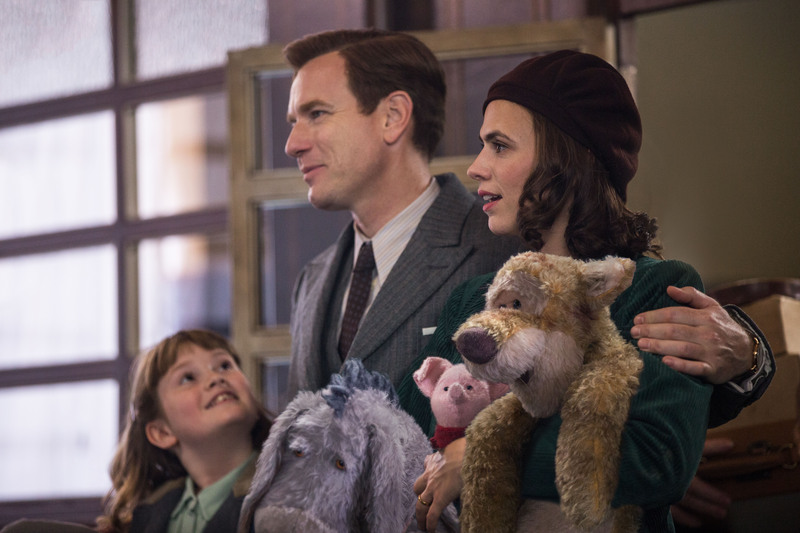 Ewan McGregor does a great job portraying an adult Christopher Robin and Hayley Atwell fits perfectly as his wife Evelyn. Bronte Carmichael is sweet as Christopher’s daughter, Madeline. Jim Cummings, long-time voice of Winnie the Pooh and Tigger reprises his voice role while Brad Garrett expertly portrays Eeyore. So many of the actors, both live and voiceover, do a wonderful job of adding to the rich world of Winnie the Pooh come to life. What made it so enjoyable and UN-predictable was that the Hundred Acre Wood is REAL! Most films of this genre would have made Pooh and his friends figments of the imagination or at best a reality only those “who believe” could see. But instead we find out that Pooh and his friends are alive and are part of our world (or at least can journey to it). When Pooh finds his way to Christopher Robin the first time, Pooh simply explains that the passage appeared where it was needed. Not a sophisticated way to answer how it was possible, but we are reminded that Pooh is a bear of very little brain. In truth, Pooh’s simple way of viewing the world is what allows him to be unencumbered by the worries that Christopher Robin carries with him daily. While still appealing to a younger audience, the clever writing of Alex Ross Perry, Tom McCarthy, and Allison Schroeder from a story by Greg Brooker and Mark Steven Johnson gives the characters witty lines and little quips that will be enjoyed by adults, especially those who are Pooh fans. Eeyore in particular is quite funny. The animals themselves (called “stuffies”) are a blend between the beloved Disney animated versions and the actual plush. Interestingly, the home release doesn’t have very many features. No deleted scenes, no gag reels, no commentary. But what it does have is done well. The feature about Pooh and Walt will be particularly interesting to Disney fans as it chronicles how the fluffy bear got to be on Walt’s radar and eventually made its way onto the screen. Hearing more about Jim Cummings long history with the “Silly Ol’ Bear” is also fascinating. And the two other features about the development of this film in particular is well done. 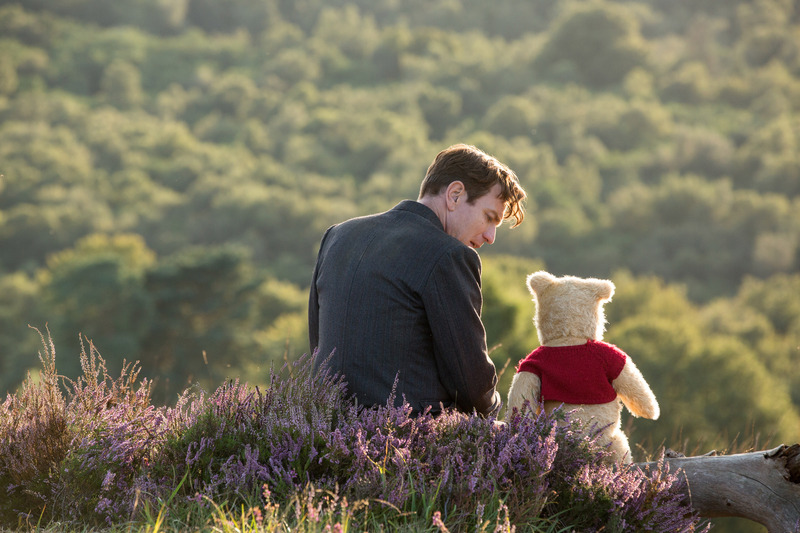 A bonus feature only on digital is about the real life Christopher Robin. It shares some rare tidbits about Christopher and his animals. It doesn’t go into the darker aspects of becoming a worldwide icon and how it affect his relationship with his father, but instead stays in his childhood. Overall, fans of Winnie the Pooh need to see this and it makes a welcome collection to your Pooh lore. A worthy sequel to A.A. Milne’s legendary books, this one stays true to the characters he created while adding to the story in an endearing and honoring way. Definitely worth a spot in your viewing library! Want to read about my Christopher Robin inspired recipe for Honey Bacon Brussels Sprouts? Make sure to read about it here! im hurt by this because one they messed with tigger and rabbit they look nothing like that …so no i didn’t see it cause of that …. i only watch winnie the pooh is because of tigger and rabbit what were they thinking….. I can totally understand your pain, but I believe they were trying to blend both the standard Disney portrayals with A.A. Milne’s portrayals in the books and that’s what they came up with. The story itself is very endearing and I’d encourage you to give it a try if you can forego the new look.